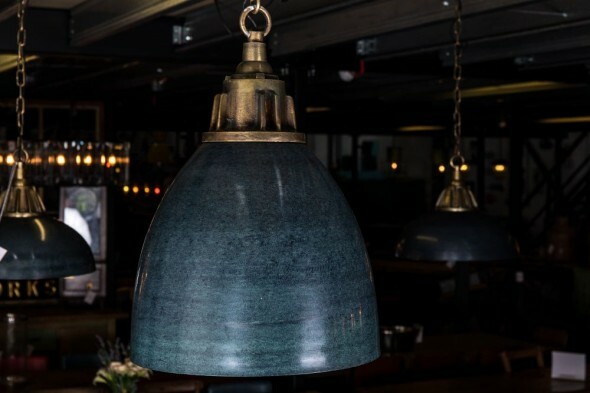 This blue pendant light is the perfect accessory for adding vintage glamour to your interior. 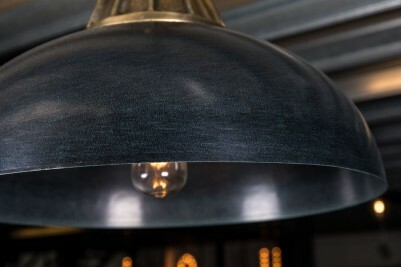 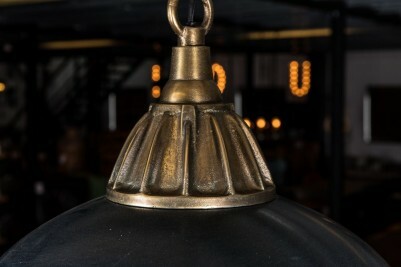 The dark blue shade paired with the brass fittings are the perfect combination of industrial and retro style. 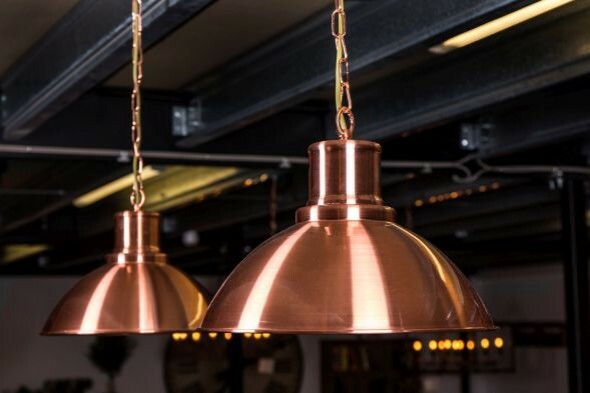 The pendant light is ideal for homes and businesses alike. 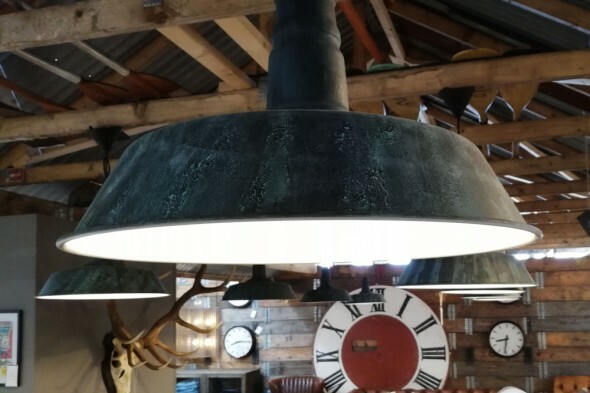 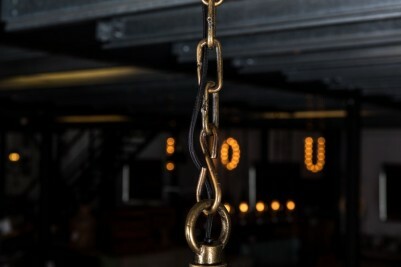 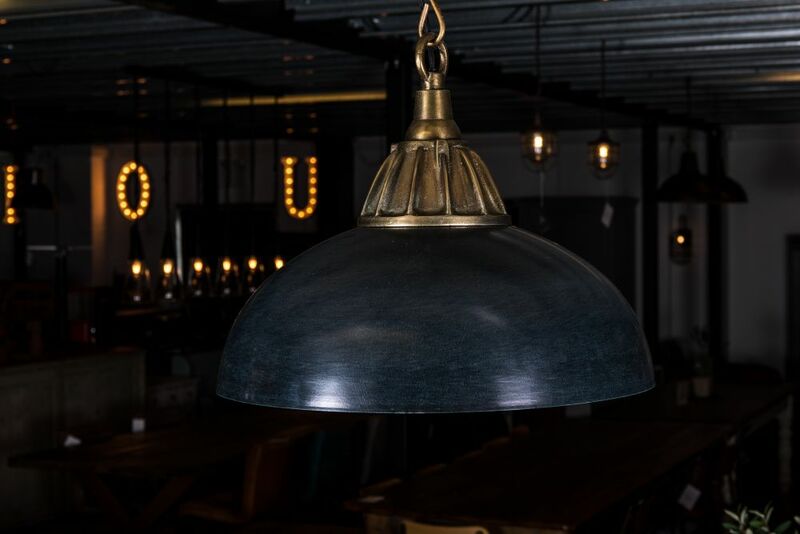 Priced individually, the lights are available to purchase in larger quantities; they would look fantastic hanging in sets over a kitchen island or they could equally be used in a restaurant, bar or retail outlet. 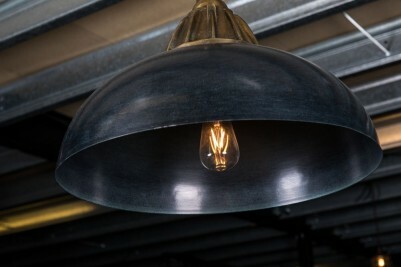 We advise that you have this light installed by a qualified electrician. 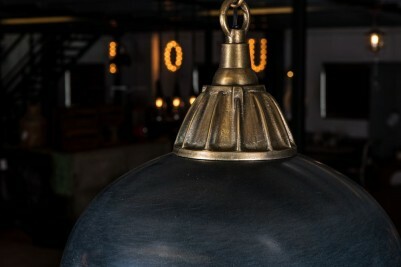 Please note that bulbs are not included.